South Africa is world-renowned for her natural beauty. From her picturesque mountain ranges and lush gorges, to expansive plains of wild flowers and glistening, soft-sand beaches, she is kissed by the waters of the warm Indian Ocean on the East coast and cooler South Atlantic Ocean on the West coast. 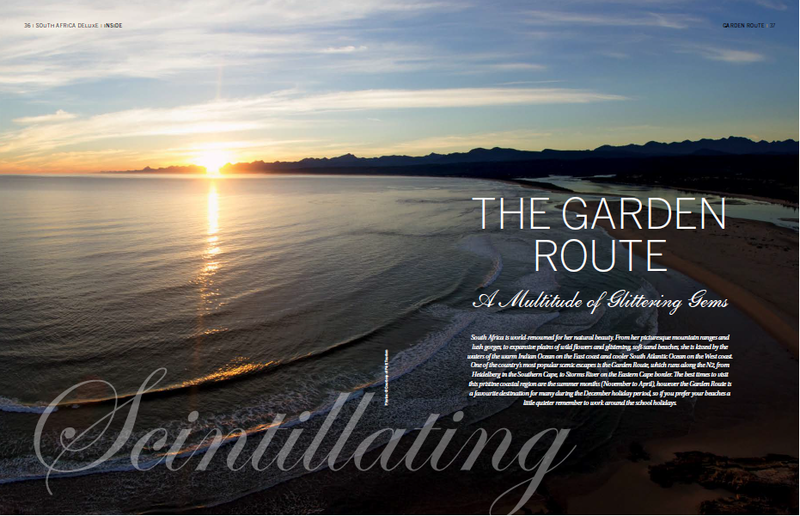 One of the country’s most popular scenic escapes is the Garden Route, which runs along the N2, from Heidelberg in the Southern Cape, to Storms River on the Eastern Cape border. The best times to visit this pristine coastal region are the summer months (November to April), however the Garden Route is a favourite destination for many during the December holiday period, so if you prefer your beaches a little quieter remember to work around the school holidays.